Alice Wilhoit’s adventure in quilting began some thirty years ago when she took a class at a local quilt shop and found herself immersed in a world of infinite possibilities with fabric. Alice has never looked back. She has produced over 250 quilts, many of her own design. 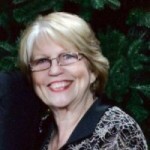 Now she teaches in Dallas-Fort Worth Metroplex, travels across the U.S. and Canada, as well as teaching on many cruises. She designs and publishes piecing, applique and embroidery patterns, has won many competitions with these patterns and celebrated with students and customers as they win ribbons with those patterns. Her patterns are sold in quilt shops around the country. 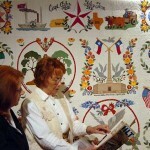 The American Quilter’s Society published her book, Crazy Patchwork, in 2009. In 2016 (American Quilter’s Society) released a video class, Lily’s Flowers. This class covers many time-saving tips and techniques and includes Crazy Patchwork, applique, and embroidery stitches. Alice Wilhoit teaches a wide range of quilting techniques from Beginner’s through Expert, with a special focus on a dozen different applique techniques. Check out her website: alicewilhoit.com. Alice is married to Bill, has six daughters, a son, seven grandchildren, seven great-grandsons and two great-granddaughters. She and Bill live in McKinney, Texas along with their Scottish Terrier Mix, Lucy, who is the queen of the household. At Quilt Hop, you will be able to watch Alice Wilhoit in action as she demonstrates Double Sided Binding, Friday, July 27 at 3:00 pm. in the Bonham Civic Center and again at the Quilt Hop Reception in the Creative Art Center beginning Friday at 5:00 pm. 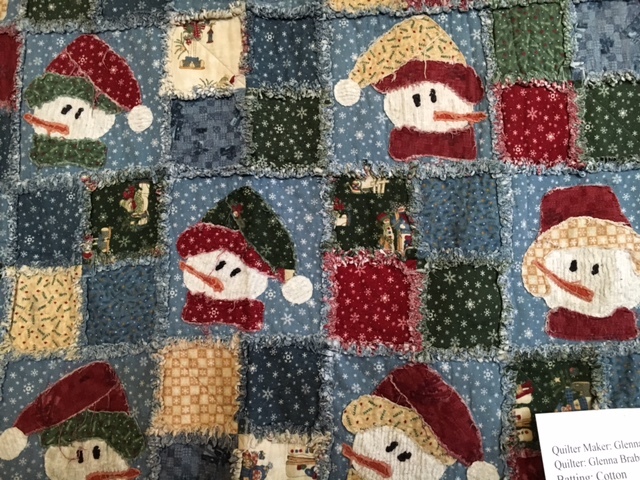 Alice’s beautiful quilts will be on display at the Creative Arts Center and she will be speaking to you about “Her Journey through the Wonderful World of Quilting”. Join us for two full, free days of quilting at the Quilt Hop, which opens at 9:00 am on Friday, July 27 and closes at 4:30 followed with the reception at the Creative Arts Center at 5:00 pm. Saturday July 28th, the Hop opens at 9:00 am and closes at 4:00 pm. The Barn Quilt Trail will be marked with red flags so you can easily find the barns adorned with quilts. Take the trail from Bonham to Honey Grove and enjoy the quilts displayed there at the St. Mark’s Episcopal Church. Come Hop With Us and enjoy all the beautiful quilts. Friday, July 27th, and Saturday, July 28th are the dates to remember for this year’s event. Our United States has been celebrating 100 years since World War I all of this year. The Sam Rayburn House will be continuing this celebration with quilts that were made or thought to have been made during the World War I Era. 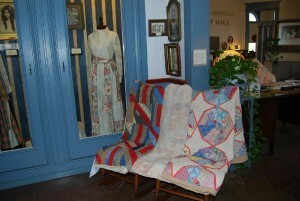 These quilts are on loan from the University of Texas, Winedale collection. They will be on display in the climate-controlled building south of the caretaker’s cottage, which is by the garden at the Rayburn House. An added attraction at this location is one that the men visitors will enjoy. Some of the vehicles that belonged to the Rayburn family will also be displayed in the same building. 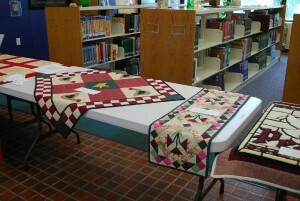 The Bonham Public Library will display quilts that are smaller than a twin sized bed. These could include wall hangings, baby quilts, lap quilts, table runners and other items. If you have items that you believe could be part of their displays and you would like to display that item please call the Bonham Library, 903-583-3128. Saint Mark’s church in Honey Grove will be displaying family quilts with a story. This historic church is worth the drive and the beautiful quilts are a wonderful addition. 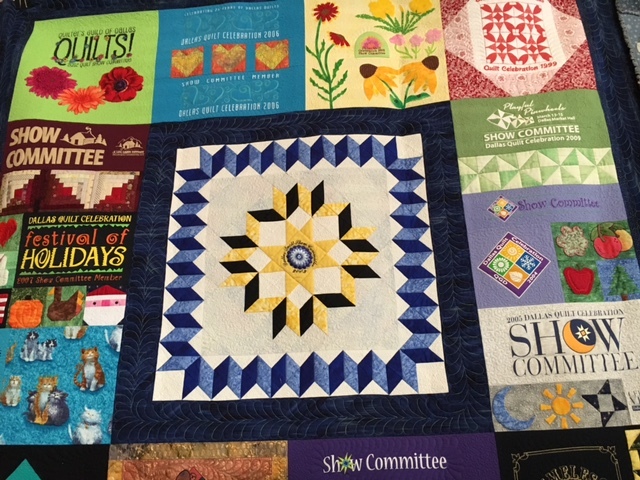 When you finish looking and enjoying these quilts, please feel free to drive around town and see the Barn Quilt Squares that are on the backs of most of the downtown buildings. Maps of the Barn Quilt Trail will be available at the church and at several other locations in Bonham. Again, there will be ten different locations for you to visit and see the over 300 quilts that will be displayed. The Quilt Hop will open Friday, July 27th and Saturday, July 28th at 9:00 am. On Friday the attractions will close at 4:30 and the reception at the Creative Arts Center will open at 5:00 pm. Please do not miss this opportunity to meet and visit with this quilt artist. She takes applique to a new level. On Saturday the event will close at 4:00 to allow all quilts to be taken down and readied for pick-up at 4:30. Come Hop Along With Us! 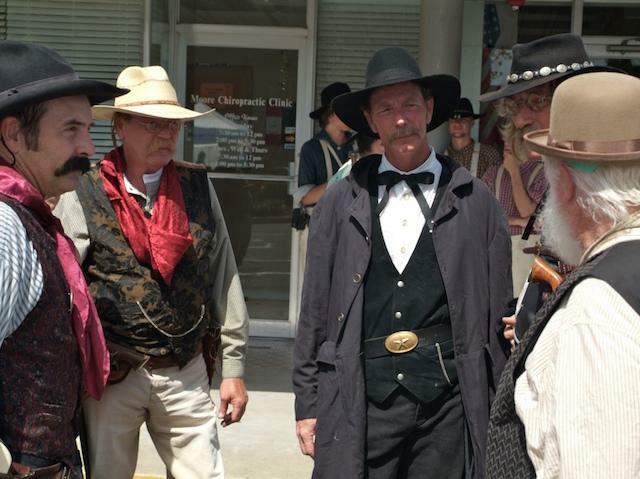 Friday, July 27th and Saturday, July 28th is Quilt Hop time in Bonham and Honey Grove. This year quilts will be on display at nine locations for two whole days. Eight of these locations will open at 9:00 am. Friday and Saturday. The Senior Center will be serving lunch on Friday and requires a 1:00 pm. opening. Please plan your schedule to view their quilts on Friday after 1:00 pm. or all day Saturday. 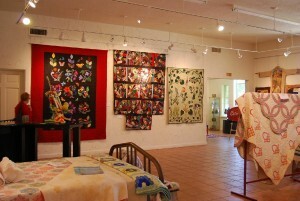 This year the Quilt Hop Reception will be held at the Creative Art Center. Venues will close at 4:30 pm. and the reception will start at 5:00 pm. This is an event you will not want to miss. Alice Wilhoit will be the speaker. 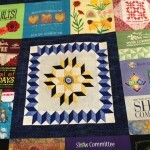 She is a well -known writer, quilter, teacher, and pattern-maker from McKinney, Texas. 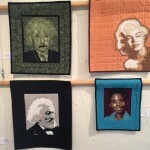 Her quilts will be on display at the Creative Art Center for the entire show. If you have quilts you would like to display we would love to have them. On our website at visitbonham.com go to the 2018 Quilt Hop page and you can find the Quilt Display Form. The forms are also available at the Visitor Center, 327 N. Main, Bonham. Of call us at 903-583-9830 to have a forms sent to you. 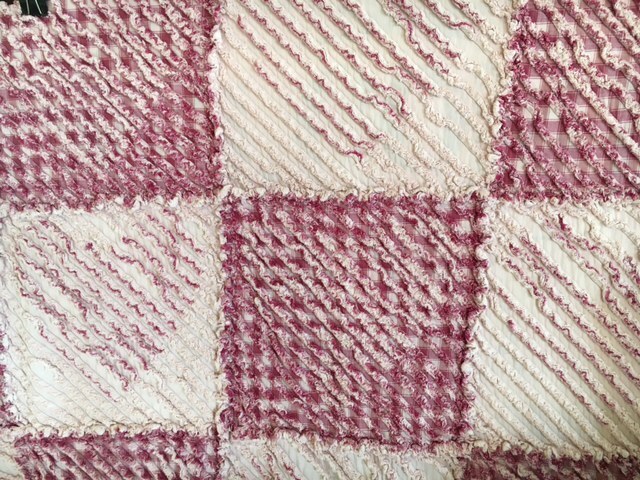 We will be receiving quilts on Monday, July 23rd 9:00 am until 4:00 pm. Thank you for your past participation! We are looking forward to seeing you again this year. Make plans to spend the day with us because with over 300 quilts to see it takes the full day. See you on July 27th and July 28th. Quilts are going up all over. Bonham Quilt Hop quilt hangings have begun all over Bonham. The Bonham Visitor Center is overflowing with color and textures of all kinds. Many local and Grayson County residents have offered quilts to be displayed at the Bonham Visitor Center this year. 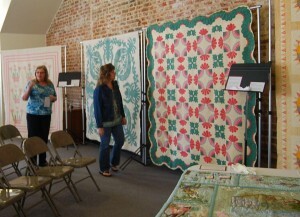 Twenty-seven quilts were hung for display there yesterday. The quilt entries have grown over the years and it should be easy for anyone to find a favorite. For your viewing will be T-shirt quilts and “quilts made by men for men” as well as “Art in a different way” quilts. The colors are different because they are for men or of memories of a college or of high school activities. The main purpose of this display is to show all visitors that quilts of today are not the quilts of your grandmother. They can be about a hobby or about any subject that you are passionate about. You will see different techniques used as well as different materials in construction. 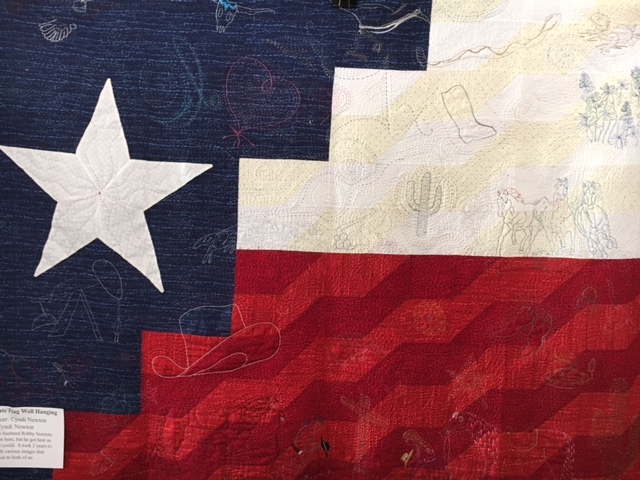 The purpose of the Bonham Visitor Center exhibit is to show that quilting can be fun for anyone and to inspire and encourage young people into the art of quilting. Quilting could become a dying art and we would like to show the visitors to this exhibit that whatever your interest, it is possible to share it with someone else in a very useful as well as artistic way.